What Are World Bank President and Tanzania's Magufuli Up To? 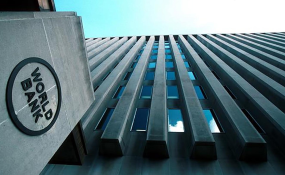 Dar es Salaam — The World Bank has promised to give Tanzania a $1.7 billion credit facility in the financial year 2019/20 for financing various economic and development projects. A statement released by the ministry of Finance says the World Bank vice president for Africa, Hafez Ghanem, during a meeting with the minister for Finance Dr Philip Mpango in Washington. Mr Ghanem said relations between the country and the Bank are good and that the Bretton Woods institution will continue to support the country. Sectors that would benefit from the aid package include education whose funding would increase from $300 million to $400 million in the next financial year. The Tanzania Social Action Fund (TASAF) will also see its funding increase to $450 million from $300 million. Finance minister Dr Mpango thanked the Bank for its continuing support to Tanzania. The Bank has supported 21 projects in the country worth $4.8 billion, according to Dr Mpango. Dr Mpango and the central bank Governor Prof Florens Luoga are currently in the US to attend spring meetings of the World Bank and the International Monetary Fund (IMF).